About a month ago on FoodNetwork’s Best Thing I Ever Ate, they featured Las Vegas. I couldn’t miss this show because I would soon make my first trip to Las Vegas, and I needed restaurant suggestions from people in the know! After seeing that show, our top “to eat at” list were SW Steakhouse at the Wynn Hotel for their 42oz Chile Rubbed Double Bone In Ribeye and Bobby Flay’s Mesa Grill for the Shrimp and Roasted Garlic Tamale. We made it to both and neither disappointed! Inspired by the Shrimp & Roasted Garlic Tamale, I decided to create my own dish at home. Read: The dish completely “mind cracked” me but, I was too lazy to attempt the whole corn meal masa real tamale thing. I used the next best thing: Green Onion Spoon Bread. In all honesty, I’m confused on the whole adapted vs inspired recipe designation. This is a recipe that I made after tasting a dish…Although there is a recipe online for Bobby Flay’s dish, I didn’t follow his recipe or technique. I was inspired by his combination of ingredients. 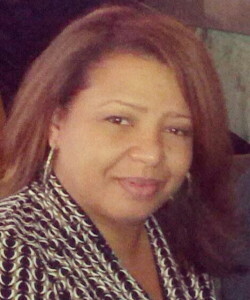 I further disclaim any weight that I may have gained during this trip…Let’s see if that works! Because a 42oz double bone in ribeye is akin to cooking a standing rib roast, I won’t be preparing that anytime soon. Actually, I’ll be preparing it for Thanksgiving. 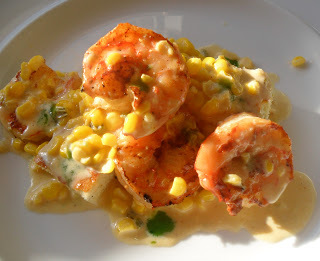 In the meantime, if you love shrimp, corn, garlic, and a soft oniony( version of cornbread, this dish is for you! For easy removal, line baking dish with foil and coat with butter before adding spoon bread batter. 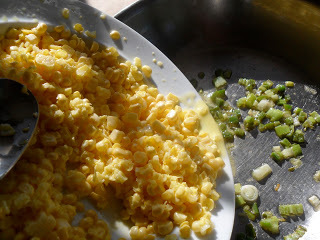 Cook onion and jalapeno until softened before adding fresh corn, garlic, salt, and water. Cover and simmer. Sear shrimp before adding to corn along with half & half, and heavy cream. Preheat oven to 425 degrees. Line a 8×8 square pan with aluminum foil and cover with a thin coating of butter. In a bowl, beat together 1/3 cup milk, egg, and salt until well blended and set aside until ready to use. In a heavy saucepan whisk together corn meal, remaining 2/3 cup milk, and 2 tablespoons unsalted butter. Cook on medium heat, stirring constantly until thickened and boiling. Remove from heat and stir in egg mixture, baking powder, and chopped onion. Pour into prepared dish and bake for 20 minutes. Allow to cool before cutting. 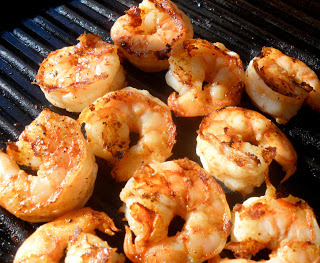 In a bowl, combine shrimp with cumin and chilli powder, cover and refrigerate until ready to use. 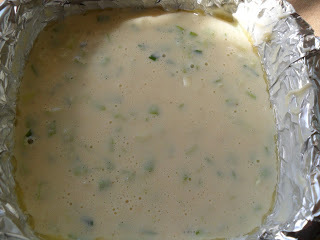 In a heavy skillet heat butter, 2 tablespoons olive oil, green onion, and jalapeno pepper stirring occasionally until softened, about 7 minutes. Add garlic, corn, salt, and water cover and simmer for 15 minutes. As this simmers, coat a heavy skillet with remaining 2 tablespoons of olive oil on medium high heat, Add shrimp and sear 1 minute on each side(Do not eat, they are not completely done.) Remove cover and increase heat to medium on corn mixture. Add half & half and allow to come to a boil. Add shrimp and heavy cream, and cook uncovered for 3-4 minutes, until thickened. 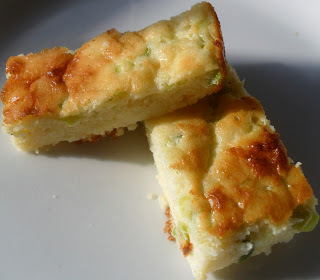 Cut green onion spoon bread into eight pieces. Using two pieces per serving, top with shrimp & fresh corn sauce, dot with green habanero sauce. 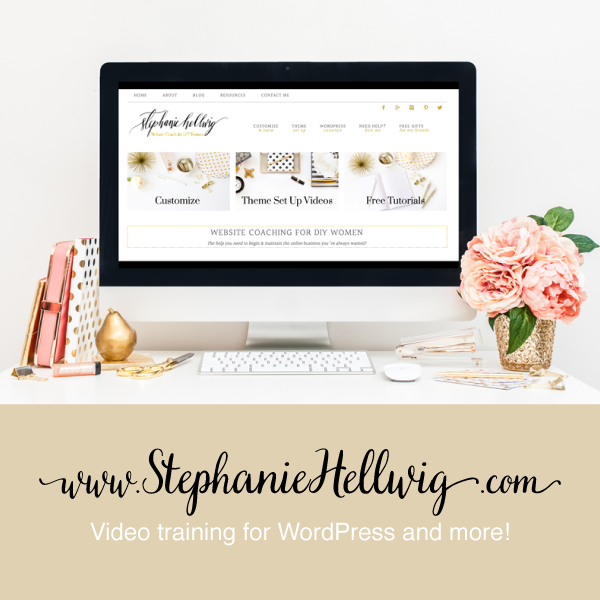 This looks fabulous, Shawn! I love this combination of flavors. This is totally an ‘inspired’ dish!